It’s a new month and that means it’s time to dig out my safelist and viral list builder advertising stats from last months and share with you what sites are currently bringing me the best results. The biggest launch from last month was the new release of a unique viral list builder from my good friend John Bell. It’s called Viral List Builder Plus. I don’t have any stats to share yet but so far I am really enjoying this site. One of the unique features displays the open rate of all emails sent through the site. Members are receiving between 17% and 20% open rate for all emails sent through the system. Not bad. I will definitely keep working this one and share my stats with you next month. If you’ve never been here before this is how it works. 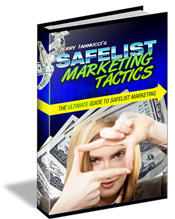 Every month I promote a series of lead capture pages for my ebook Safelist Marketing Tactics on 30-40 different safelists and viral list builders. I try to view as many emails from other members as I can to earn enough credits to send my emails as often as possible. I use a free link tracker to find out how my hits my pages received from each site as well as how many new subscribers I received. I do have upgraded memberships at most of these sites which usually allows me to send my ads more often. 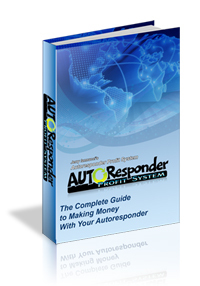 My ads are also very targeted to other safelist and viral list builder members which help to increase my results. Your results my vary. Not a bad month. The top 3 sites continue to dominate as they have for the past few months. I love seeing List Adventure in the Top 5. So many VLBs have come and gone over the last year that it’s great to see this site still competing so well. If you are not yet a member of any of these I highly recommend joining now. That’s it for this month. I will be keeping a close eye on Viral List Builder Plus over the next few weeks and hopefully have some good stats to share with you next month. Keep in mind that these stats are the result of my own marketing efforts and may not match your own. These are only provided as a guide to show you what is currently working best for me. What works best for you might be something entirely different but you will never know unless you are tracking your ads. You can get the same free link tracker that I use when you join TE Toolbox.